The deep portico of Playmakers Theatre has four columns and a large central door flanked by two smaller ones. When the university converted it into a theatre, it built a new wall in front of the older one to make room for a box office. The columns on the theatre are Corinthian, a style that is more ornamental than Gerrard’s Ionic columns. 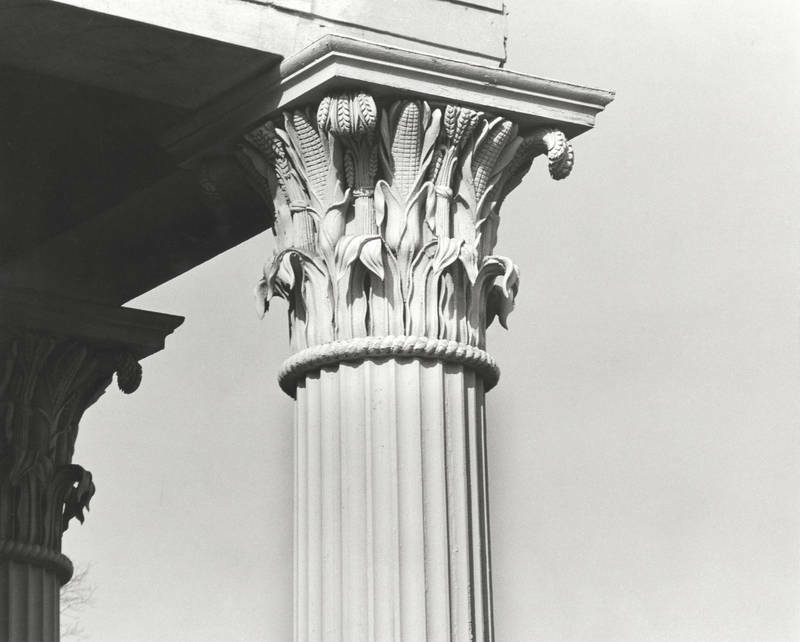 Instead of embellishing the capitals with the traditional Greek acanthus leaves, Davis followed the example of the U.S. Capitol and used wheat and ears of Indian corn, an example of the antebellum impulse to Americanize classic forms. The capitals are made of wood, painted to look like stone.